It is that time of the year and a change in weather. The faint scratching that you heard in the walls have gone quiet. Instead, it has been replaced with the rather pungent, very “stinky” odor of decomposing rodents – mice or rats. The amazing property of activated charcoal is in it’s ability to absorb (actually adsorb) a huge volume of odor in it’s millions of microscopic pores. That’s why it’s often the preferred solution for eliminating the toughest of odors without the use of fragrances that just cover up odors. 100% fragrance free and allergen free. We know from experience. 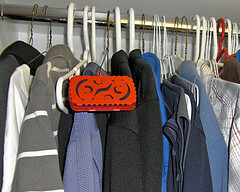 You can smell it the minute you walk into a room or open a closet where the smell is coming from. The odor from a dead, decomposing mouse or other small rodent is enough to drive you out of the house. Before you take a hammer to the wall or search through the vents, there is an easier solution to reducing and even eliminating the strong odor from a dead mouse behind the wall or in a vent. 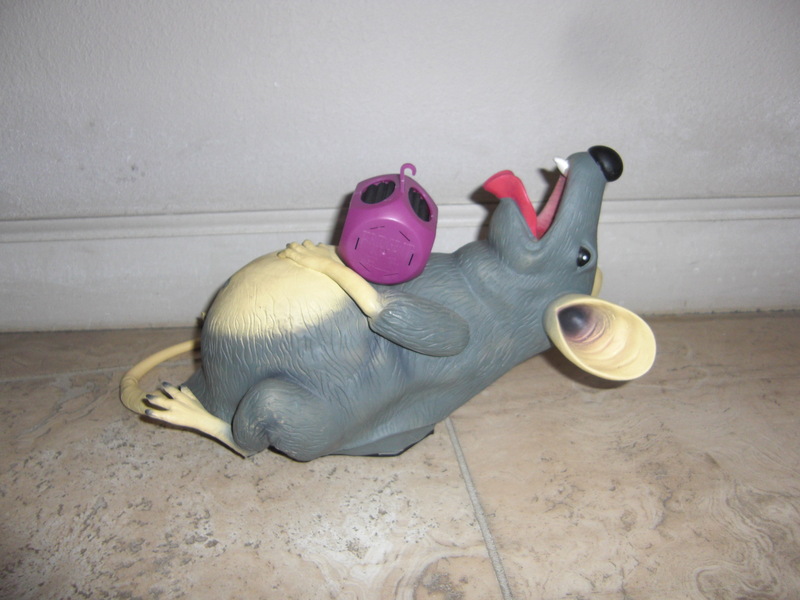 Dead mice and rats hidden behind walls, cabinets, vents and closets are among our top odor inquiries. The good news is that we have helped many readers just like you. There is a way to SAFELY eliminate the odor with natures best odor absorbing material – Activated Charcoal. No chemicals or irritating fragrances that just mask the odor. There are a number of products that claim to reduce the odor, but the best answer is to actually absorb the odor with carbon or charcoal. 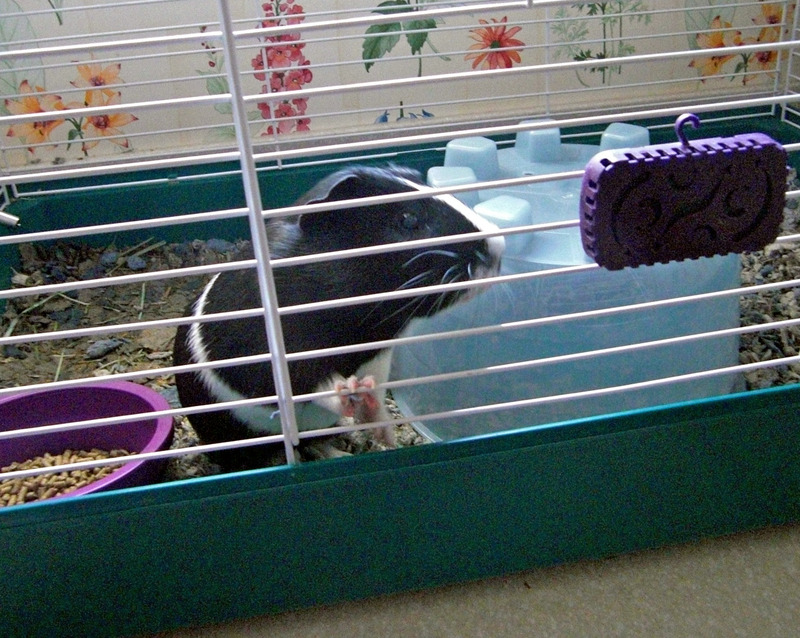 Getting a spray bottle of odor reducer is not going to help when you can’t get to the dead rodent. 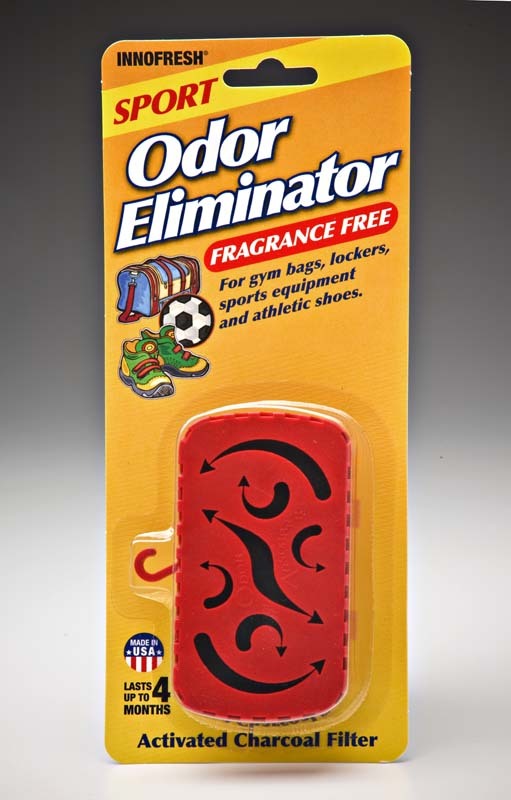 Placing activated charcoal odor eliminators in the area where the smell is the worst is your best choice. Our popular FRIDGE IT Cube activated charcoal odor absorber is extremely effective in tackling the strong odor from a dead mouse. Our customers often ask – “But, I thought that FRIDGE IT was for refrigerator, freezers and trash odors?” That is certainly some of the uses for FRIDGE IT. However, the special ventilated activated charcoal fliter that we use for FRIDGE IT is amazing in effectively absorbing and neutralizing a broad range of odors and has the absorption capacity to handle even the toughest of odors including dead mouse odor. 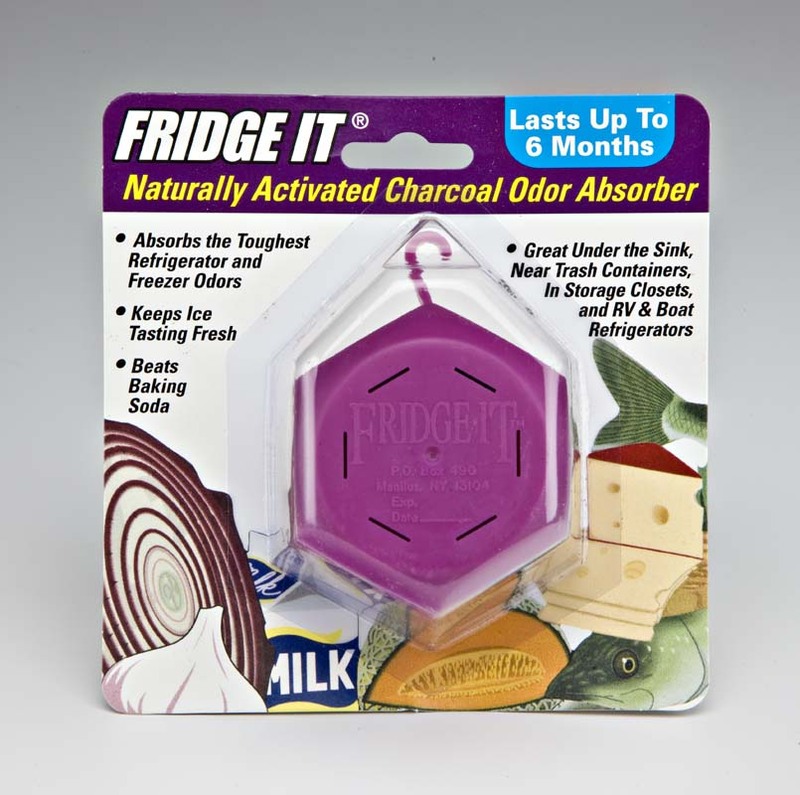 FRIDGE IT contains a powerful micro carbon filter that absorbs and neutralizes odors as they pass though millions of micro-pockets and pores in the activated charcoal. The amazing property of activated charcoal is the enormous microscopic surface area that odors (gases) actually “adsorb” to, adhering to the surface of the activated charcoal. Just placing a few of these FRIDGE IT filters in the area that you feel the dead mouse is likely located will help tremendously in absorbing the smell that is lingering in the air. For best results, place these odor absorbers near the baseboards and in the general area near the wall. Depending upon the size of ther room and difficulty of the odor, we typically recommend 3-6 odor absorbing filters placed nearby. If you have problems with mice in your home, we recommend first trying to trap the mice in the open with a mouse trap or other device so that it doesn’t just end up eating the poison bate and then die behind the wall. However, despite best efforts to trap them, the reality is they often end of simply dead behind a wall and the smell is pretty darn bad. So, again, before taking a hammer to the wall, discover the amazing power of activated charcoal for absorbing odors. Not just any charcoal, but the ventilated activated charcoal of FRIDGE IT. 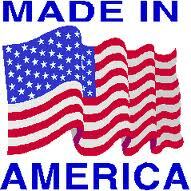 All our products are proudly manufactured in the U.S.A. Look for Made In America Products. For convenient on-line shopping directly with us, click on ShopInnofresh Look for our sale prices and specials including free ship on full warehouse cases. Learn more about FRIDGE IT and Activated Charcoal at our website – InnofreshProducts. New Year Resolutions – Go Green with less toxic chemicals and clean, fragrance free air quality. Happy New Year ! New Years Resolution…. Of course, the typical New Years Resolutions include helping others, positive impact on the planet, patience, more exercise and other usual new years resolve. But, on THE LIGHTER SIDE and definitely healthier side – why not include the small things in your home that can make a difference in your life and family health by starting with less toxic and unhealthy chemicals in your home, office, car and around pets. And now, for limited time, save with PROMOTION CODE – VIPSavings for an additional 20% off already low sale prices -good on all orders. Also, look for additional savings and FREE SHIP on full case (24 count) orders. At the same time, go greener, support MADE IN AMERICA products and start the new year with a determination to clean up the clutter and eliminate unwanted odors with natural activated charcoal odor absorbers, helping to provide a fragrance free, chemical free, allergen free environment for you, family and pets. Start with the brands you trust – Since 1992 – FRIDGE IT and INNOFRESH activated charcoal odor absorbers for odor elimination in home, car, work, dorms, baby’s room, pantry, laundry, cabinets, closets, storage, pet areas and just about anywhere unwanted odors are. Safe for the family but strong enough for even the toughest odors. Most of all, have a happy and healthy new year filled with positive surprises. Visit us at www.innofresh.com and check out our sale prices and free shipping deals. 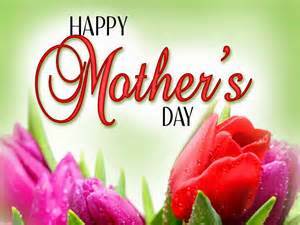 To help celebrate Mother’s Day, we are offering a very special promotion for an additional 20% off* our already low sale prices on our entire line of activated charcoal odor absorbers. * Promotion discount of 20% off good on any 6 pack or greater. Whether in my personal life or in business, I’ve found that one of the most important skills to do well is “listening”. I know this seems obvious, but it amazes me how many people just are not that good at it. I’m not suggesting that I’ve figured it all out either, but I do make an effort every day to be attentive to this important skill and continually work on improving it. Believe me, having spent my younger years in New York, the urge to finish someone else’s sentence does get the better part of me, but listed below are some essential rules that I use to be a better listener. How I apply this to business is discussed after the top rules. 1. Don’t interupt. Allow the other person to complete a thought. 2. Do not spend the time while the other person is talking to be thinking about your next thought or question. 4. If you already have decided what the other person was going to say or answer, then don’t bother asking in the first place. 5. Don’t underestimate the importance of excellent eye contact. This personal style helps you dial in better to what others are saying. At Innofresh Products, I make sure that everyone practices these 5 rules for better listening. It’s more than just being polite. I believe it significantly impacts in a very positive way, our relationships among ourselves and very importantly, with our customers. Not only is our customer service department acutely aware of the importance of listening to our customers, but everyone at Innofresh Products is dedicated to providing the best possible experience everytime with everyone of our customers to the delight of our customers. Listening to our customers also better allows us to respond with the best possible product solution to fit their needs. Think about this quote – “When a customer walks into a store to buy a drill, they don’t want a drill, they want a hole”. It’s our job to find out exactly what kind of hole the customer needs and how best to provide our product solution. Other companies just talk about drills. So, feel free to contact us and we’ll go out of our way to understand what you need so that we can provide the very best support – all the time, every time. Occasionally, I have the opportunity to speak to various groups about a range of business topics. Recently, I spoke about Social Media and consumer brand Marketing, which included a strong point about going back to some of the basics. Of course, this doesn’t mean that a company should abandon newer initiatives that are relevant with the new tools available. Rather, instead using the exciting, current social media avenues available, engage the consumer by still applying some of the basics. I’ve used a phrase that sums up what I consider “Marketing 101” and it applies to both traditional marketing and social media marketing – “Have something good to say, say it well and say it often“. So, you may be thinking, why the photo of the hot dog stand? Years ago, I came across a short story titled “The Man Who Sold Hot Dogs Along The Side Of The Road”. It was relevant then and, with a couple of small changes, is relevant today. Many years ago, there was a man who lived by the side of the road and sold hot dogs. He was hard of hearing so he had no radio. He had trouble with his eyes so he read no newspaper nor watched TV. But he sold great HOT DOGS. He put up signs on the highway telling how good they were. And people bought, because he was so enthusiastic. He increased his meat and bun orders. He bought a bigger stove to take care of his growing trade. He was so happy selling hot dogs and people enjoyed doing business with him. One day, his son came home from college to help him out. His son said, “Father, haven’t you been listening to the radio.? Haven’t you been reading the newspaper.? So, the father cut down on his meat and bun orders, he took down all his advertising signs, and no longer bothered to stand on the highway to sell his hot dogs. And his hot dog sales fell, almost overnight. The lesson learned – Have something good to say, say if well and say it often.